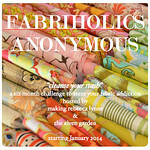 I am so excited to be participating in this awesome sewing event. It starts today, November 15th and lasts through the 15th of December. The goal is to donate 100 quilts to children in your community (or other communites) this month. If you can't find a charity in your area some suggestions are Margaret's Hope Chest and Project Linus. To find out more details check out Kate at Swim, Bike, Quilt blog post. If you do decide to participate you will be eligible for multiple fabulous giveaways!! As if helping children in need weren't enough to get one excited for this event, there are prizes involved!! 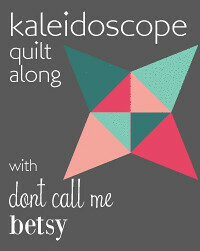 On Thursday night the DC Modern Quilt Guild is hosting a sew in to make quilts for local kids in our community. I can't wait! 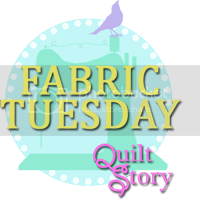 It will be so much fun to get together with people who love to quilt and help out at the same time! I will be sure to post details of the event later this week. I have started cutting a baseball, rail fence quilt to work on Thursday night. As I have said many times before I am slow, so I hope I am able to finish it in time! Even if I can't it will still be fun to sew with everyone else! I would love to be able to say that I have made a large amount of progess on my other projects, but I can't. I am still plugging away at the FMQ for the Hushabye quilt. I am hoping to finish that up after I make the charity quilt. I hope everyone else is having a very productive sewing day! Thanks for posting! Look forward to seeing you Thursday. Yahoo! Thanks so much for participating!